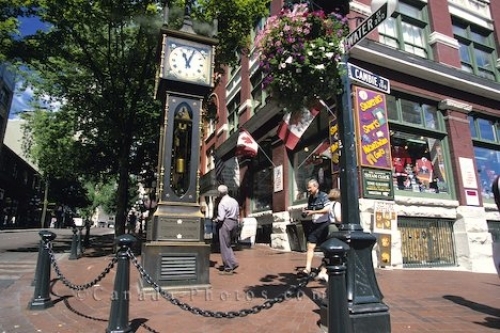 The Steam Clock in Gastown, Vancouver in British Columbia is a famous landmark in the city. On a street corner in downtown Vancouver, British Columbia you will find a steam clock that is one of the few that are still working throughout the world. On the quarter of every hour the steam clock will whistle through the streets of Gastown and bring visitors running to watch this amazing piece of history.